Item # 297746 Stash Points: 2,995 (?) This is the number of points you get in The Zumiez Stash for purchasing this item. Stash points are redeemable for exclusive rewards only available to Zumiez Stash members. To redeem your points check out the rewards catalog on thestash.zumiez.com. Feel attuned with your skate inspired looks with Baker's Capital B Gold Ring. 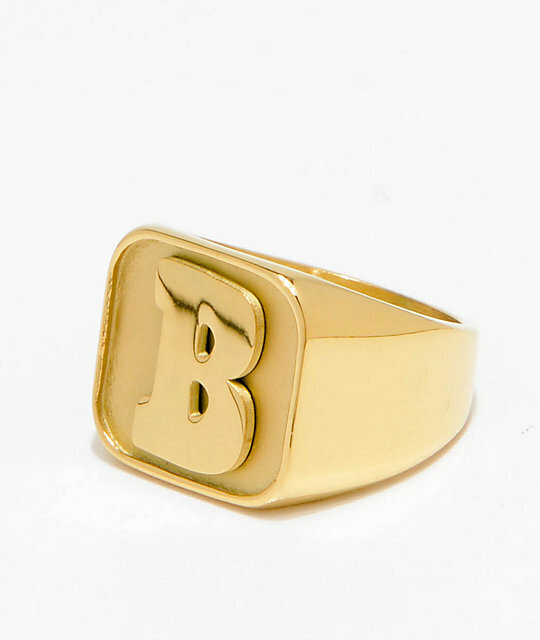 Made from stainless steel and finished with gold plating, this accessory features the brand's signature "B" logo for added brand loyalty flair. 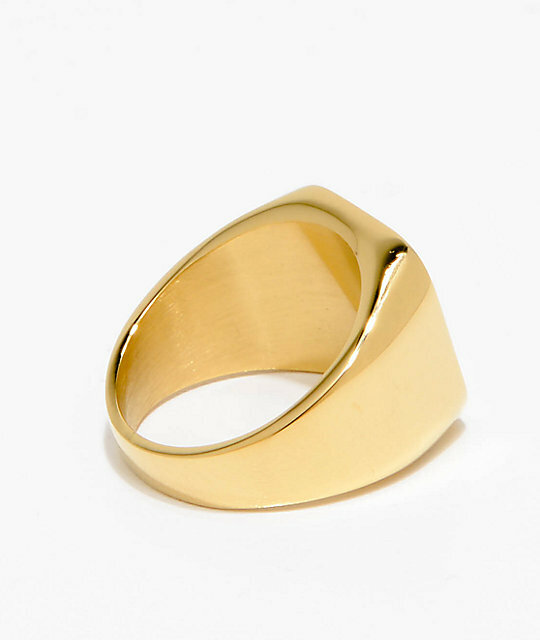 Capital B Gold Ring by Baker. Gold plated stainless steel construction with Baker's signature "B" logo on the head. Sizing: X-Small: size 7, Small: size 9, Medium: size 10, Large: size 11.